Mahler Chamber Orchestra Artistic Partner, pianist Mitsuko Uchida, is heralded as one of the greatest Mozart interpreters of our time. Leading from the keyboard, Mitsuko Uchida focuses on the piano concertos of Mozart in her long-term collaboration with the MCO. 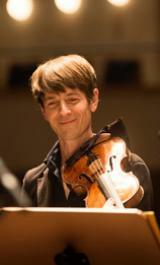 With this tour the Mahler Chamber Orchestra launches a new chapter with this great artist and MCO friend which will encompass a five-year collaboration. Several concert halls with a longstanding and important relationship to the Mahler Chamber Orchestra will be visited on this tour, and the MCO is also introduced to a new city. The Mahler Chamber Orchestra has worked closely with the Konzerthaus of Dortmund for over a decade of great concerts and MCO Academy projects. Additionally, the orchestra is delighted to revisit the Salzburger Mozartwochen, the Palais des Beaux-Arts in Brussels, the Tivoli Vredenburg in Utrecht, Muziekgebouw Eindhoven and London’s Royal Festival Hall. New to the MCO on this tour is the German town of Bietigheim-Bissingen in Baden-Württemberg. This new chapter with Mitsuko Uchida and the MCO includes yearly residencies in New York’s Carnegie Hall, the Royal Festival Hall of London, and participation in the Salzburg Mozartwochen. 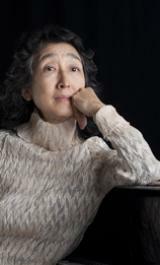 Mitsuko Uchida has been a Mahler Chamber Orchestra Artistic Partner since January 2016.